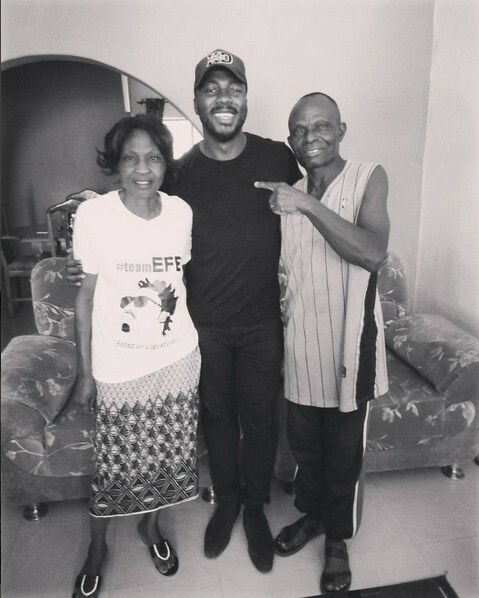 Big Brother Naija star, Bally paid a courtesy visit to Efe Ejeba's family house. Bally arrived on time for Efe's Homecoming concert in Jos, the Plateau State Capital. Bally is pictured with Efe Mom and Dad. 0 Response to "BBNaija: Bally Pictured With Efe's Mom And Dad"